TCU Fires Trent Johnson: Now What? Late on Selection Sunday, CBS Sports‘ Jon Rothstein broke news that TCU head coach Trent Johnson had been fired by the school, a report that was confirmed on Monday morning in a statement issued by the program’s director of intercollegiate athletics, Chris Del Conte. The statement, posted on the athletic department’s website, twice mentions the Horned Frogs’ new $72 million arena, and suggests that the school has the tools in place to establish a successful program in Fort Worth. The primary concern is that Johnson failed to deliver the necessary results. “We simply did not have the success we envisioned,” Del Conte said. 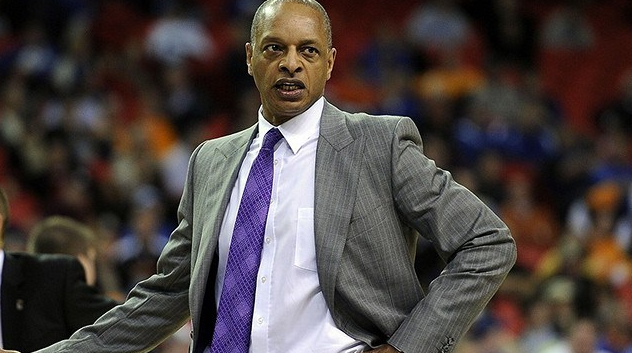 Trent Johnson finished just 50-79 in four seasons at TCU. (rantsports.com). The peak of Johnson’s success in his four seasons at TCU came last year when the Horned Frogs entered Big 12 play undefeated and ranked in the AP Top 25 for this first time since 1999. However, TCU finished just 4-14 in the Big 12 to close out the regular season before making a quick exit in the quarterfinals of the Big 12 Tournament. For Johnson, success against weak non-conference slates was the norm. The Horned Frogs went 39-11 in non-conference games under his direction, but their strength of schedule outside Big 12 play was never any better than 331st nationally, according to KenPom. Ultimately, though, Johnson’s inability to turn TCU into a respectable Big 12 program during his tenure appeared to mark the breaking point. The Horned Frogs won a mere eight league games over four seasons. “Your record is your record,” as Del Conte said. Over the last few years there has been at least one NCAA Tournament bid on the line during the Big 12 Tournament’s opening night. It was Texas making its case last season, with Marcus Smart and Oklahoma State before that. For better or worse, there was no such drama last night at the Sprint Center as the team with the shakiest prospects, Texas Tech, already seems safely in the field. The Red Raiders, however, may have dinged their seed with an upset loss to TCU. The games went on regardless, and Kansas State‘s win over Oklahoma State gives us a third game with Kansas in what will undoubtedly be a juiced Sprint Center this afternoon. Here are some quick takeaways on each team that played Wednesday night in Kansas City. Kansas State. Kansas State’s offense was not pleasant in its last game against Oklahoma State, as a miserable 0.85 points per possession performance resulted in a three-point loss that effectively killed any hopes of a late season run. The Wildcats’ first half on Wednesday night was a different story, as they did a great job utilizing Dean Wade in the high post and Justin Edwards (four first half assists) in keeping the offense moving. 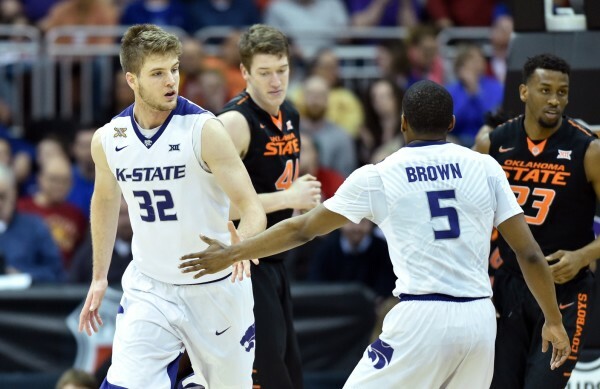 This allowed Kansas State to build a 17-point lead that proved insurmountable. Wesley Iwundu admitted after the game that the Wildcats got “too comfortable” with a lead and let Oklahoma State back into the game in the second half. Their date with the rival Jayhawks will not be comfortable, but Bruce Weber said that his team simply needs to “enjoy the opportunity” and compete with them. Replicating their free-flowing offensive effort from last night’s first half will be the only way to challenge a Jayhawks team that hasn’t lost a Big 12 Tournament opener since 2009. The year 2016 is right around the corner and along with it comes Big 12 conference play, as the league gets underway with six games on January 2. Although we know that only a fraction of people ultimately keep their New Year’s resolutions, we figured it wouldn’t hurt to come up with a few challenges for teams in the Big 12 once the ball drops tomorrow night. This is part one of a two-part series. The focus on Kansas to this point has reasonably and rightfully been on the improved play of Wayne Selden and the consistent performance of senior forward Perry Ellis. 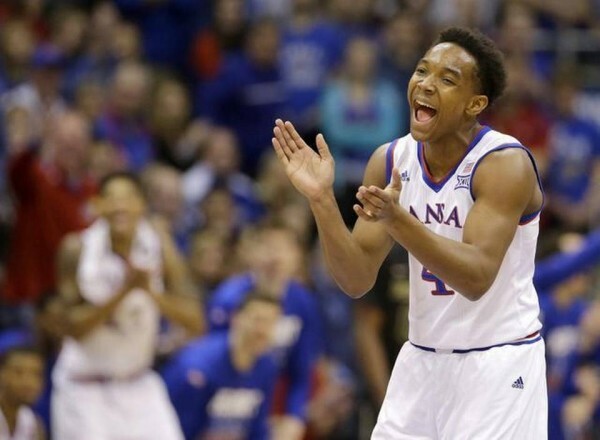 However, the Jayhawks’ most under appreciated asset may well be sophomore point guard Devonte Graham. Graham’s move to the starting lineup has been linked to Selden’s rise because it helped free him up offensively, but Graham has provided much more. The sophomore has helped increase the number of turnovers the Jayhawks are causing on defense while simultaneously decreasing the number of turnovers Kansas commits on offense by reducing his personal turnover rate from 20.1 percent to 9.9 percent. Graham’s sophomore emergence has made the Jayhawks a national title contender and he deserves more praise for the role he’s played. Burning Question: Will inexperience and injuries wreck TCU’s season? TCU is not your typical power five conference job. In fact, it only became such a job three years ago. When Jim Christian sensed his seat was starting to warm at TCU, he left for Ohio, a less stressful and more comfortable mid-major gig. 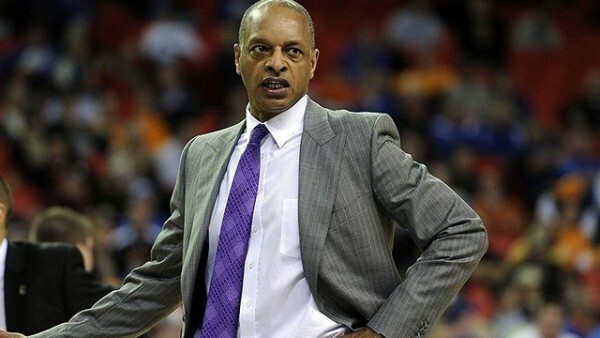 In came Trent Johnson, a coach who has had a modicum of success at every place he’s been, but who, like Christian, had sensed the pitchforks coming toward the end of his four-year run at LSU. Johnson’s first two years in Fort Worth were rough for a couple of reasons. First, the leftovers from Christian’s tenure had to adjust to the transition of both coaches and to a much more competitive basketball conference (from the Mountain West to the Big 12). The Horned Frogs under Christian certainly weren’t slayers out west (18-44 in his four years), but they did finish 7-7 in league play the year before Christian hit the road. Secondly, injuries bit them pretty good. In 2012-13, starting guard Jarvis Ray injured his left foot in late December and was lost for the year. Amric Fields, the 2011-12 Mountain West Sixth Man of the Year, suffered a season-ending injury to his knee 12 seconds into TCU’s game against SMU. Conference play hadn’t even begun and the Horned Frogs’ season was all but done. Big 12 Tournament action got underway on Wednesday night in Kansas City. The first day’s games aren’t always very glamorous, but there were some notable things on the line in last night’s slate of games. For example, Texas entered the tournament trying to hang onto an NCAA Tournament at-large bid by its fingertips; Kansas State was looking for a miracle run to salvage a disappointing season; and TCU was within shouting distance of an NIT bid. Texas Tech was, well, simply trying to build some momentum while playing out the string. Here is the good, bad and ugly from Wednesday’s two games of action at the Sprint Center, which included TCU knocking off Kansas State, 67-65, and Texas handling Texas Tech, 65-53. Trent Johnson and TCU picked up their first Big 12 Tournament win by beating Kansas State (rantsports.com). Last summer, Kansas assistant Jerrance Howard pled guilty to a charge of unlawful possession of marijuana in Peoria, Illinois. According to the Peoria Journal Star, Howard was ordered to pay nearly $1,200 in fines and legal fees and was placed under court supervision for six months. Somewhat coincidentally, the six-month court supervision period ends today and head coach Bill Self claims he did not have knowledge of the situation until Wednesday. Self responded by suspending Howard from team activities for two weeks, but this is pretty much a non-story. Howard had a lapse in judgment, a sentence was handed down, and it was served. Let’s all move on. TCU coach Trent Johnson announced yesterday that junior guard Charles Hill Jr. has been suspended indefinitely for “conduct unbecoming of a TCU men’s basketball player.” Hill has appeared in 14 games this season, averaging 2.6 points and 1.2 rebounds in a little over five minutes per game of action. As Frogs O’ War points out, Hill sent out a tweet following TCU’s 66-43 loss to Texas that may or may not have to do with his suspension. We probably won’t hear what he did to warrant punishment but kudos to Johnson, though, for working in “unbecoming” into a suspension announcement. Coaches and athletic departments typically reuse the same suspension statement ad nauseam. Finally, I feel smarter after reading one of these things! In West Virginia’s recent win over Kansas State, Mountaineers sophomore forward Brandon Watkins sprained the medial collateral ligament (MCL) in his left knee while having his best game of the season (14 points and nine rebounds in 17 minutes). Watkins is listed as day-to-day and therefore has a chance to suit up for the team’s massive road contest with Iowa State on Saturday. I hope he is well enough to play because heaven knows the ‘Eers haven’t had a good win since throttling Oklahoma a month ago. On Thursday, SI’s Luke Winn published the interweb’s most intelligent power rankings for your consumption. Seven Big 12 teams are ranked in the top 24 teams on his list, with Oklahoma making a seven-spot jump from last week, the sharpest increase of any team among his top 16. Winn asks whether the Sooners are the national title contender that we aren’t talking about, and it’s a valid question. They’ve played fantastic basketball lately but have still suffered a handful of head-scratching losses (Creighton, Washington, Kansas State at home and at West Virginia). I want to believe in the Sooners, I do, but I’m not totally confident in Lon Kruger’s team getting to the second weekend of the NCAA Tournament, much less Final Four weekend. West Virginia guard Juwan Staten was named as a finalist for the Lowe’s Senior CLASS Award on Thursday. Staten is just one of ten players in Division I to earn this distinction, given to the senior with “notable achievements in four areas of excellence: community, classroom, character and competition.” Staten is the Big 12’s lone representative. The Big East had three (D’Angelo Harrison – St. John’s; Matt Stainbrook – Xavier; Alex Barlow – Butler); the Big Ten had two (D.J. Newbill – Penn State; Frank Kaminsky – Wisconsin); the West Coast Conference had two (Kevin Pangos – Gonzaga; Tyler Haws – Brigham Young); while the Ohio Valley (Reece Chamberlain – Belmont) and Pac-12 (Chasson Randle – Stanford) conferences each had one representative per league. Texas fell to Oklahoma in its Big 12 home opener on Monday night, and the 21-point margin of defeat was unexpectedly large, causing both head coach Rick Barnes and his players to afterward challenge the team’s effort and pride. Effort and pride may certainly have played a part in the defeat, but the loss to Oklahoma may be symptomatic of a larger problem for a Longhorns squad that shot just 30.o percent from the field. Texas hasn’t shown an ability to score at an elite level this season, posting an adjusted offensive efficiency of 106.0 that ranks 61st nationally, according to KenPom. Part of the problem? According to Barnes, the players can’t remember their plays. “I don’t even know if we can be a good offensive team or not,” Barnes said. “We can’t even remember the play half the time.” That responsibility, of course, falls on the head coach who will need to give his players some mnemonic devices or other forms of memory training in order to make a deep run in March. While Texas struggled, Oklahoma continues to improve. Lon Kruger pulled off what may turn out to be the most important transfer move in the Big 12 this year with the addition of senior TaShawn Thomas. He has provided the Sooners with a legitimate inside threat and is becoming an increasingly important part of the Oklahoma offense. He finished with 12 points and 11 rebounds against the Longhorns, which marks the sixth time in the last seven games that he has scored in double figures. Although the transfer wasn’t very efficient in getting his numbers, the fact that he attempted 17 shots in the game suggests that he’s becoming a robust option inside. Thomas also came through with an early contender for best dunk during conference play with a big finish on a couple of Texas bigs, resulting in a fantastic bench celebration from the Sooners’ reserves. Kansas will open its Big 12 season tonight on the road at Baylor, and while the Jayhawks have won at least a share of the last 10 Big 12 regular season titles, the odds seem somewhat stacked against them this year. Ken Pomeroy’s conference predictions currently project Texas, Oklahoma, and West Virginia to finish ahead of Kansas in the league standings this season. The biggest worry for head coach Bill Self at this point is the Jayhawks’ defense. Self’s teams have always prided themselves on being one of the better defensive teams in the conference and country, but Kansas is entering league play with a field goal percentage defense that ranks eighth among Big 12 teams. That number will need to improve in order for Kansas to win an 11th straight Big 12 championship in what is shaping up to be the most competitive league in the country. In what is a bit of an odd arrangement, TCU is playing its home games this season at Wilkerson-Greines, which is an off-campus athletic facility owned by the Fort Worth school district. Daniel-Meyer Coliseum, the usual home of the Horned Frogs, is currently undergoing renovations. On Monday, TCU head coach Trent Johnson defended his team from critics who have suggested that the change of venue is the reason behind the Horned Frogs’ improved defense. “The rim is 10 feet,” Johnson said, “The only advantage we have, if any, is that if we come out and play extremely hard and rebound. It creates an advantage against certain teams regardless of where you play or when you play.” The Horned Frogs have the sixth-best field goal percentage defense in the country, allowing opponents to shoot only 34.7 percent on the season. If Johnson’s guys are able to keep that up, they’ll be able to pick up a great number more conference wins than last season. Oklahoma State’s Phil Forte was named the conference’s player of the week after scoring 41 points on 14-of-24 shooting in the Cowboys’ wins over Missouri and Kansas State. Forte has always been a knock-down outside shooter for Travis Ford’s squad, but his offensive role has increased so that he is finishing five percent more of the Cowboys’ possessions and his 17.3 points per game is tied with teammate Le’Bryan Nash for the Big 12 lead. If Oklahoma State is to make it back to the NCAA Tournament this season, Forte must continue to exhibit a high level of play over the next couple months of action. Iowa State‘s defense will get a lift this weekend from transfer Jameel McKay, who is finally eligible after transferring from Marquette and sitting out the last two semesters. A 6’9″ forward, McKay possesses a 7’4″ wingspan, which should come in handy for a Cyclone team that’s currently dead last in the conference in blocks percentage and offensive rebound percentage. Prior to his short stint with the Golden Eagles, McKay played alongside Cyclone forward Dustin Hogue at Indian Hills Community College. According to Fred Hoiberg, McKay will come off the bench, but even as a secondary member of Iowa State’s rotation, McKay’s ability to alter shots and preserve possessions with his offensive rebounding should give the Cyclones’ attack a new dimension. Perhaps the biggest name to hit the transfer market recently is former Duke forward Semi Ojeleye, who is now getting the full-court press from Kansas State. There are two major connections between Ojeleye and the Wildcat program: He hails from Ottawa (Kan.), which is just 80 miles from Manhattan, and his brother, Victor Ojeleye, was a walk-on from 2008 to 2012. There’s just one issue for Kansas State – They don’t have a scholarship available. The Wildcats inked three high school commits from the 2015 class to prepare for the loss of Thomas Gipson, Nino Williams and outgoing transfer Jack Karapetyan. Sometimes, these things have a way of working themselves out, but since Ojeleye and his AAU coach have also received inquiries from the likes of Wisconsin, Kansas and Wichita State, something would have to develop quickly for him to end up a Wildcat. Everyone is still getting used to the idea of TCU being a competitive team, including its local media. The Horned Frogs are one of just nine undefeated teams left in Division I, but they’ve partially arrived at that point by way of easy scheduling by head coach Trent Johnson. Still, these are games that previous TCU teams were losing, so credit is due. Their chances of making the NCAA Tournament will boil down to how they fare in conference play, and in that regard, their backs will be against the wall as they were in their first two seasons of Big 12 membership, but even this level of relevance can be nothing but a good thing for the conference. While Kansas‘ offensive struggles are a touch misplaced (they currently rank 14th in the country in adjusted offense), they could stand to improve, and as the Lawrence Journal-World‘s Tom Keegan writes, freshman big man Cliff Alexander could be the answer, or at least an answer as the Jayhawks look to get better over Winter Break. Alexander can be foul-prone, but it’s been frustrating to also see his minutes limited by Bill Self’s preference towards experience even though guys like Jamari Traylor and Landen Lucas are less talented. We’re anticipating Alexander to get more chances with Kansas’ non-con schedule softening up as it nears its end, but it’s up to him to make the most of those opportunities. The Big 12 roars into the weekend on an absolute tear, having won its last 22 games by an average of 19.6 points. While some of the conference’s opponents in that time never stood a chance to be competitive, the streak also includes some impressive road wins over power conferences and victories over solid mid-major teams, too. There are three big threats tomorrow, though: Maryland pays a visit to Oklahoma State; A Washington team on the rise which will square off against Oklahoma in Las Vegas tomorrow, and a solid NC State team will take a crack at West Virginia at Madison Square Garden. Given the strength of the conference, everyone else should have no trouble taking care of business. It was just an exhibition against an overmatched Washburn team, but Kansas freshman forward Cliff Alexander gave us a glimpse last night of what he is capable of doing this season. Big 12 front lines should be afraid, as Alexander finished with 14 points and nine rebounds in just 17 minutes of action. It seemed like a flashback to his high school days where he was able to bully smaller players down low. That won’t be the case in most games against quality competition this season, but smaller frontcourts could be in for very long nights against the beefy freshman. “They were so dominant,” Washburn head coach Bob Chipman told the Lawrence Journal-World‘s Matt Tait. Again, the opponent was just a Division-II school, but Alexander playing well early could be huge for Kansas. Iowa State head coach Fred Hoiberg has been involved in numerous NBA coaching rumors since returning to the college game a few years ago. It’s widely assumed that he will one day leave Ames for an NBA head coaching job, but when that might happen is anyone’s guess. But as FoxSports.com‘s Reid Forgrave writes, Hoiberg’s relationship with Iowa State and the city of Ames is perhaps more unique than any coach in the country. Forgrave tells a great story of Hoiberg’s family life, NBA career, and the heart problem that cut his playing days short in this fine article. West Virginia will definitely look different than last season, thanks to a few transfers that left plenty of question marks in their wakes. The Mountaineers still have Bob Huggins, however, and that’s a pretty good place to start. Seven new players will make their debuts with this year’s team, but senior guard Juwan Staten seems optimistic. “They’re coming along very fast, in my opinion,” Staten told Matt Hauswirth of West Virginia Illustrated. With the losses of Eron Harris and Terry Henderson, the Mountaineers will need at least a few of these newcomers to seamlessly integrate into the team dynamic if they want to compete for a Big 12 title and an NCAA Tournament berth. Sure, Oklahoma State lost 1st round pick (and flopper extraordinaire) Marcus Smart from last year’s team, but head coach Travis Ford welcomes back senior forward Michael Cobbins, who missed the entire Big 12 season after tearing his Achilles against Robert Morris on December 30. Le’Bryan Nash admitted to the Oklahoman‘s John Helsley that last year’s team definitely missed Cobbins’ defensive presence during the second half of the year. The Cowboys were 12-1 before Cobbins was injured but finished the season with a disappointing 10-11 stretch. If you argued that Cobbins was more valuable to the success of this team than Smart, I wouldn’t disagree. TCU made some recruiting news earlier in the week as 2015 recruit Jalon Miller gave his verbal commitment to the Horned Frogs on Sunday. Miller, a 6’8″ four-star small forward (according to ESPN) from Seagonville High School in the Dallas area, is the first pledge in that class for head coach Trent Johnson. Getting a verbal from Miller is huge for Johnson on two levels: 1) Miller is a pretty good player; and 2) Miller saying ‘yes’ to TCU sends a message to other top prospects in the Metroplex that the Horned Frogs are to be taken seriously in recruiting. Think about it: Talented players are pledging to schools like TCU and SMU. Welcome to 2014. For two seasons at Baylor, Isaiah Austin and Cory Jefferson were together a lot on and off the basketball floor. When Austin announced to the world that Marfan’s Syndrome would end his NBA career before it had a chance to begin, Jefferson decided to make sure that he and his college teammate would always be on the floor together. Jefferson, of course, was the final pick in June’s NBA Draft, eventually made the Nets’ final roster, and contributed eight points and two rebounds in his NBA debut Tuesday with Austin in attendance. This might be the best non-LeBron story of NBA’s opening week. Oklahoma guard Isaiah Cousins was in his hometown of Mount Vernon, New York, in late May when he was shot in the shoulder. Miraculously, Cousins was fully participating in practice less than a month later. Cousins opened up on his experience for the first time since everything went down, saying that doctors decided to leave the bullet in his shoulder simply because it’s lodged in between his shoulders and can’t really move. Opposing coaches will now be forced to add “superhero” to Cousins’ scouting report. You’d be foolish not to. West Virginia might be the most fascinating team in the Big 12 this season. Since arriving in the conference, they’ve been a big disappointment, and my wandering mind has wondered about how much job security Bob Huggins has. He’s done a lot of winning and he’s a native son in Morgantown, but how much will it take athletic director Oliver Luck to consider making a change at the top of his men’s basketball program? Fortunately for everyone involved, that’s probably not a decision that will need to be made. Huggins has perhaps his most talented team since joining the Big 12 and can put those matters to bed with a run to the NCAA Tournament in 2014-15. Bill Self and his some of his coaching staff did a very cool thing for Kansas students on Thursday. Self went to the Underground, an on-campus food court, and bought lunch for everybody there. Eventually, word got around campus through social media and students flocked because there was free food. There isn’t much Self has to do win the favor of the students because of all the winning he’s been able to do on the floor. But now, even the few Kansas students who don’t watch Jayhawks basketball can’t find beef with him because, dude, he just bought y’all lunch.